TankEater is a bioremediation product that was designed specifically to break down hydrocarbon sludge in Storage Tanks, Vessels and Separator pits. TankEater not only breaks down the hydrocarbon sludge but activates the natural bacteria in the specific area to accelerate the sludge reduction process, returning essential storage capacity to the operator. TankEater consists of various bacterial strains formulated to effectively degrade both Aromatic and Aliphatic hydrocarbons. TankEater enhances the natural biological process to aid in the degradation of various hydrocarbon pollutants found in sludge. Depending on the type of Tank Sludge present, we can achieve between 70 to 90% reduction in hydrocarbon sludge. The remaining material classed as Non-Hazardous and ready for safe disposal. 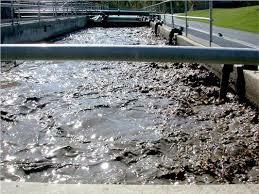 Reduction in tank cleaning process and avoidance in off-site hazardous sludge transfers. 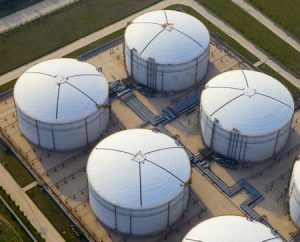 Cost-efficient method in tank desludging projects and thus restoring a capacity gain to the tank. TankEater has proven itself against most of the competing products available and demonstrated that it takes less time, and less product to reach the completion of the sludge reduction process. TankEater Formulation can be modified to suit different types of sludge and accelerate the degradation / reduction process in the Tank.